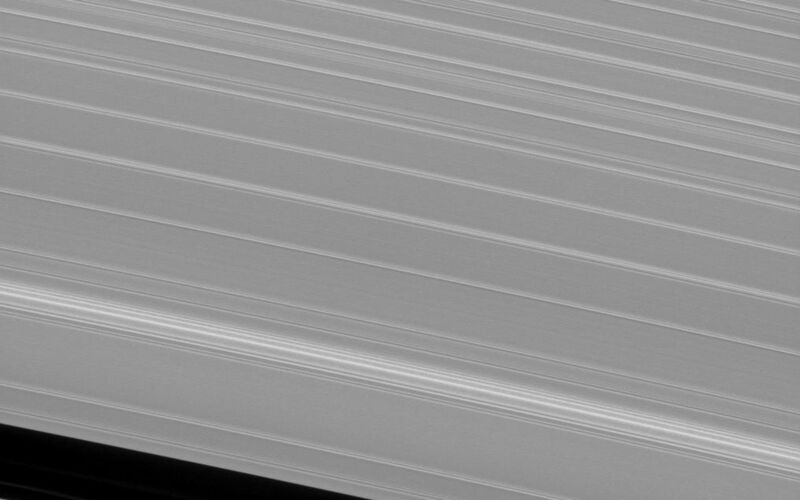 The shepherd moon Pan orbits Saturn in the Encke gap while the A ring surrounding the gap displays wave features created by interactions between the ring particles and Saturnian moons. 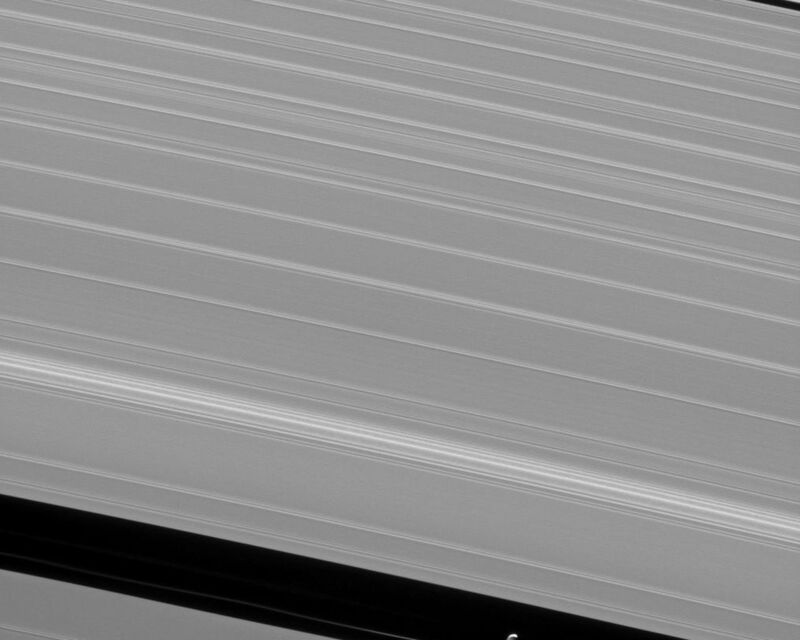 Pan (17 miles, or 28 kilometers across) maintains the Encke gap through gravitational interactions with ring particles. 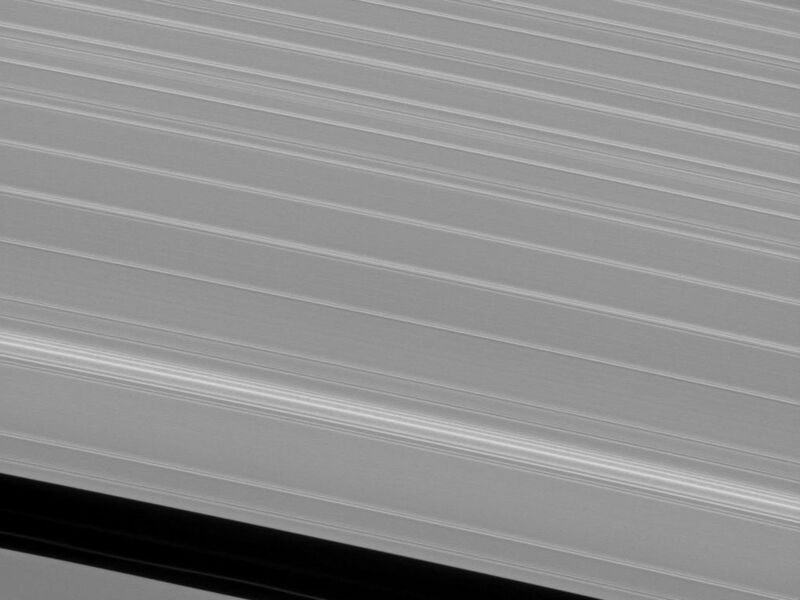 The wave features in the A ring are generated through interactions between ring particles and moons such as Pan. 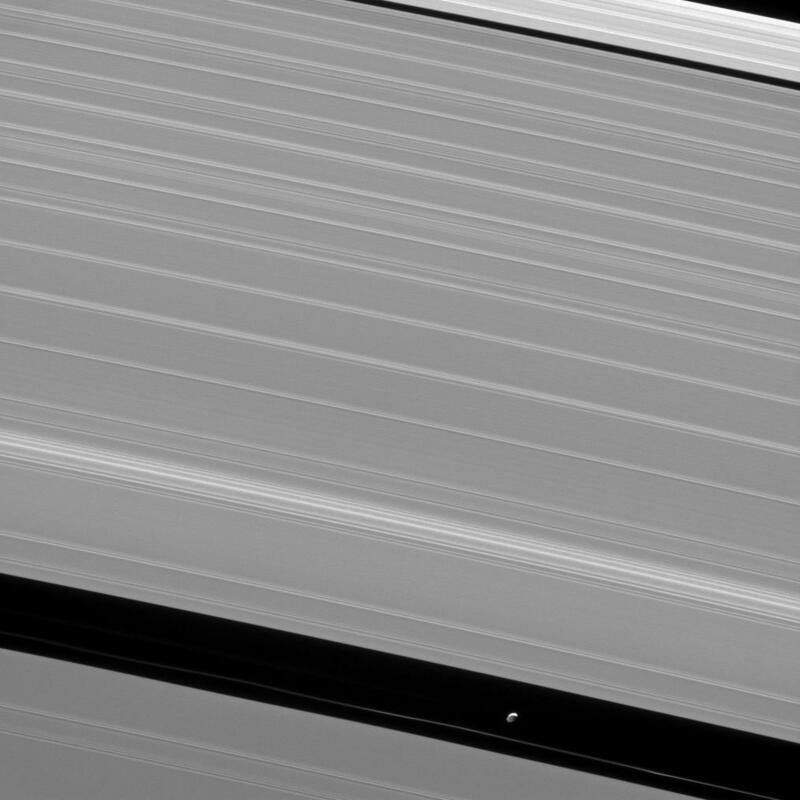 This view looks toward the sunlit side of the rings from about 34 degrees above the ringplane. The image was taken in visible light with the Cassini spacecraft narrow-angle camera on May 11, 2013. The view was obtained at a distance of approximately 240,000 miles (386,000 kilometers) from Saturn and at a Sun-Saturn-spacecraft, or phase, angle of 111 degrees. Image scale is 1 mile (2 kilometers) per pixel.